Convinced of the truth in the pilot’s story, Carson dug deeper and discovered a conspiracy that involved a wide range of clandestine government operations with names like Indigo Skyfold, Operation Cloverleaf, and The Shield. He learned about the vast antenna array in Alaska known as HAARP, and its use in weather modification and military defense. He discovered the link between the chemical giant Monsanto and the spraying of the deadly chemicals into our atmosphere. After collecting indisputable evidence of the government’s massive cover up, Carson was determined to expose it all, but at what expense? He soon found that the government would stop at nothing to protect its dirty secrets. With bodies piling up, Carson elicits the aid of private investigator, Walt Williams, and involves him in one of his most deadly and frightening cases. 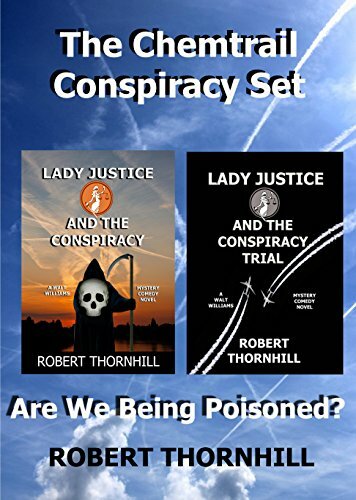 Will justice prevail, or will the government conspiracy intent on spraying poison into our skies continue unabated?